The successful conclusion of the FEI World Jumping Challenge Final in Uzbekistan highlighted the excellent progress being made by FEI Solidarity in promoting the growth of the sport while also giving young riders the chance to excel on the international stage. The 17th edition of the FEI World Jumping Challenge Final took the competition to new frontiers in 2018 as Uzbekistan hosted the event for the first time between September 5-9. Israel’s 18-year-old Jumping talent, Nadav Sternbach was crowned champion at the Allure Equestrian Club in the Bostanlik district of the country’s capital, Tashkent, beating Argentina’s Richard Kierkegaard, 15, in a thrilling jump-off on the final day. There was cause for celebration for the local fans too as the Uzbek rider Saidamirkhon Turgenboev rode home to secure the bronze medal. A total of 19 athletes from 15 countries – ranging from 15 to 55 years of age – took part, all of whom praised Uzbekistan’s organisation and delivery of the event. The competition’s inclusivity and diversity has been achieved thanks in large part to the work carried out by FEI Solidarity, the development programme of the federation that organises the Challenge series. While the series is open to athletes of all ages, FEI Solidarity’s focus is on nurturing and developing young riders all over the world by providing them with an early opportunity to compete internationally. This serves as ideal preparation for the athletes as they begin the transition into senior-level equestrians. “The FEI Solidarity programme consists of around 80 countries,” explained Jacqueline Braissant, director of FEI Solidarity. “Besides supporting Athletes’ training towards competition, we also finance school programmes for disadvantaged children whom I hope will in turn compete in the FEI World Jumping Challenge. It’s not just the athletes who benefit from FEI Solidarity support. The programme is also heavily involved in coaching development, organising courses and tutoring workshops to ensure the sport’s best young athletes are able to realise their potential through access to high-quality coaching. “The FEI taught me how to be a coach first,” said Luis Barreiro of Ecuador. 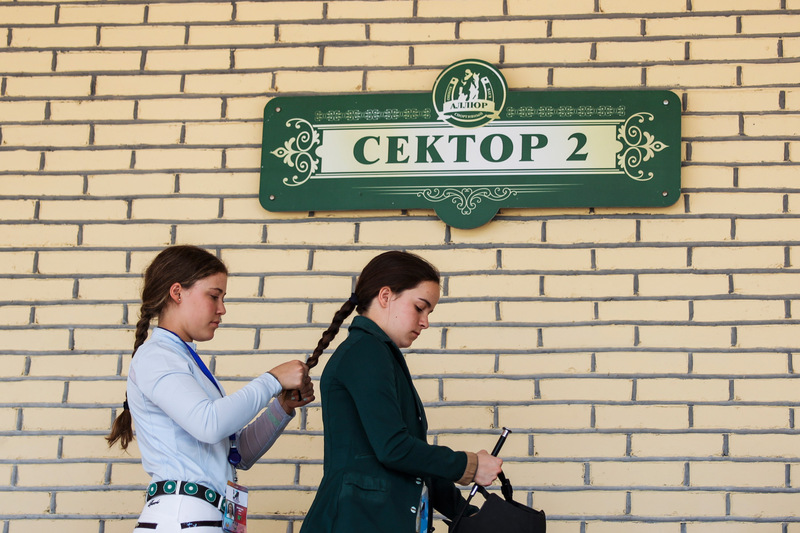 What’s more, hosting internationally-renowned competitions such as the FEI World Jumping Challenge Final – coupled with the all-important support of FEI Solidarity – allows smaller bodies like the Equestrian Federation of Uzbekistan to build up organisational and event management experience, which can only be a good thing for the long-term growth of the sport. 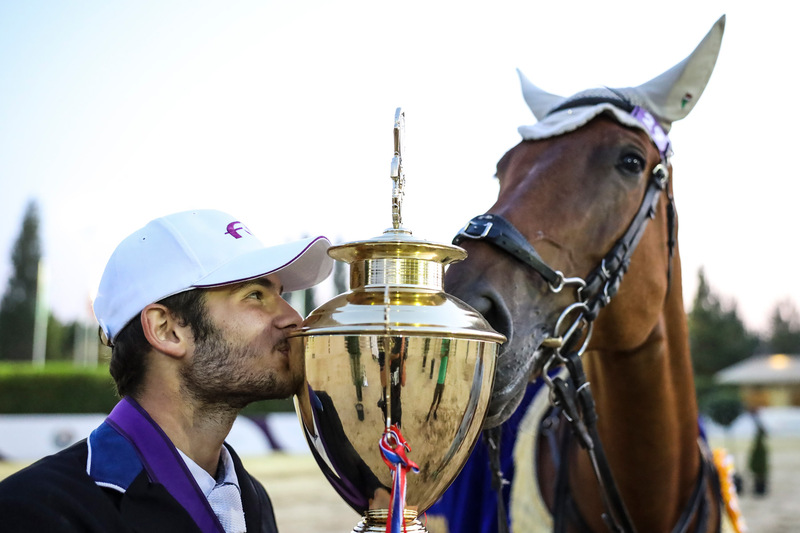 “One of the main aims of the FEI World Jumping Challenge Final is to teach many of the host countries how to organise a show,” added Ramin Shafiee, chairman of the Asian Equestrian Federation Show Jumping Committee. An added significance of the FEI World Jumping Challenge Final for young athletes is its use of borrowed horses, making it an important warm-up event for those that went on to compete at October’s 2018 Youth Olympic Games (YOG) in Buenos Aires, where the equestrian event also pairs riders with unfamiliar horses. The Challenge series was used as the official qualifying event for the YOG by 44 countries, and 23 of the 30 athletes that headed to the Argentinian capital secured their passage via the series. Five of these riders competed in Uzbekistan, including Zimbabwe’s Brianagh Clark. The last word on the FEI World Jumping Challenge Final belonged to Braissant. As director of FEI Solidarity, she is determined to foster a culture of cooperation within equestrian so that many more countries can host competitions with an equal degree of success as Uzbekistan in the future. For more information about FEI Solidarity, and the work it does across the world, click here.